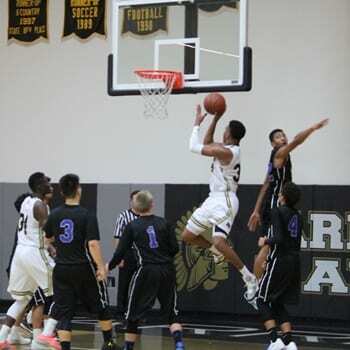 Army-Navy player Richard Polanco led all scorers with 19 points as the Warriors beat Dana Hills 63-47 in a game at Dana Hills on December 5. Polanco’s points came on 8 field goals, 1 three pointers and 0/0 free throws during the game. Army Navy also got 18 points from Aziz Seck and 12 points from Juan Carlos Canahuate.